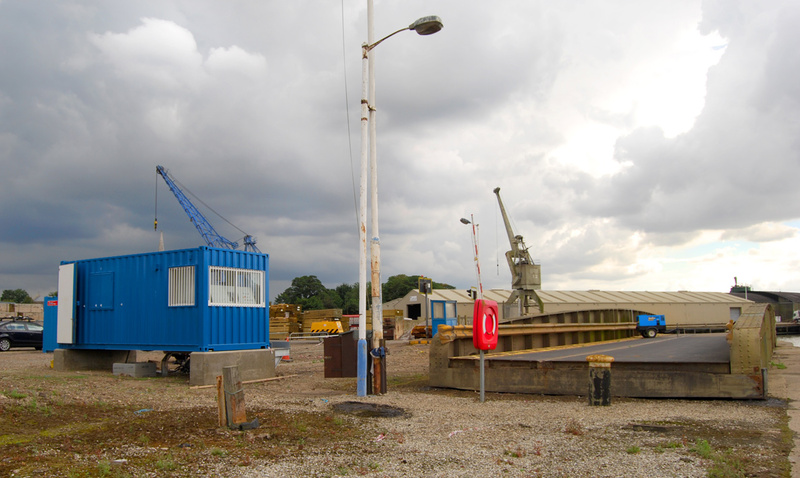 Qualter Hall carried out the M&E refurbishment and improvements to both the South Swing Bridge and the North Swing Bridge at the Port of Kings Lynn. First, Qualter Hall received a contract to carry out the M&E refurbishment and improvements to the South Swing Bridge. Hydraulic operating drive mechanism for the swing bridge to replace the existing water hydraulic system including all cylinders, chain and wheels. Provision of new main lifting beam including all connection plates, bearings and associated equipment. Pump house/operators cabin (industrial container modified) to house the equipment including electrical services and the foundation works. Cable/pipework civil trench work requirements. Hydraulic power pack complete with all pumps, valves, off line filtration, warning devices, filling points, all associated connection points and fixings. All pressure and return pipework to operate the bridge lift /lower and slew cylinders including supports and pipe brackets. The new controls and hydraulic power pack included the provision to incorporate future Norht Swing Bridge hydraulic operation. Following the successful completion of the South Swing Bridge, Qualter Hall received a further contract to carry out the M&E refurbishment and improvements to the North Swing Bridge.